People get used to asking Apple for help when they have encountered some problems that they can't slove, such as the issue of how to exist iPod touch recovery mode. Generally, if you follow the description that Apple tells you, you'll lose all data on your iPod touch after you exit the recovery mode successfully. 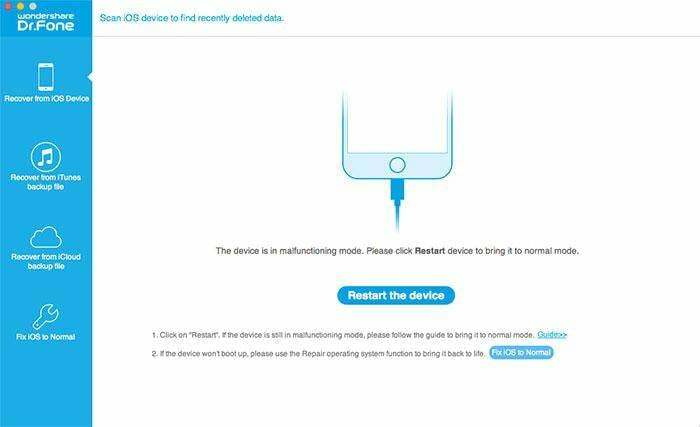 Well, is there any way to exit iPod touch recovery mode without data loss? The answer is YES. And the way is quite simple. It's a 1-click work. To get started, get Wondershare Dr.Fone (Mac), or Wondershare Dr.Fone for iOS (Windows), with which you can exit iPod touch recovery mode with one click. It won't cause any data loss on your iPod touch, and works well with iPod touch 5 and iPod touch 4. Download the software and install it on your computer. Then get your iPod touch and the digital cable prepared. 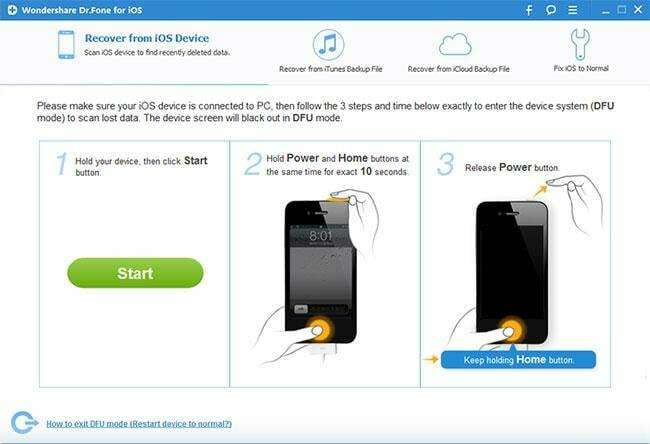 Follow the guide below to exit recovery mode with your iPod touch. 1. Launch the program on your PC or Mac and connect your iPod touch. 2. When the program has recognized your iPod touch, it will show you the window as follows. 3. Now click the Restart (for Windows) or Set Up (for Mac) button. You can exit recovery mode in a few seconds after your iPod touch restart. It's pretty easy, isn't it? 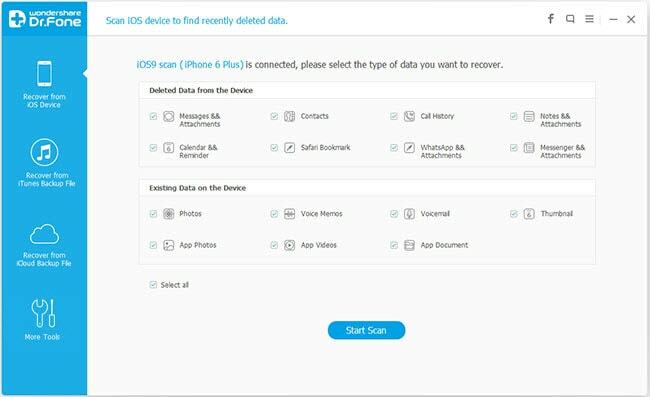 Moreover, you can use Wondershare Dr.Fone to recover data from your iPod touch 4/5, if you have ever deleted data on it recently. Read the guide as follows. Let's try to recover data from iPod touch with Wondershare Dr.Fone for iOS together. If you're a Mac user, you can also take similar steps as follows. For iPod touch 5 users, you'll see the window below after connecting it to your computer. You can click Start Scan to begin the scan on your iPod touch. 1. Hold your iPod touch and click Start. 3. Release the Power button, and keep the Home button pressed, until you're told that you've entered the scanning mode successfully. The program will provide you a scan result after the scan. 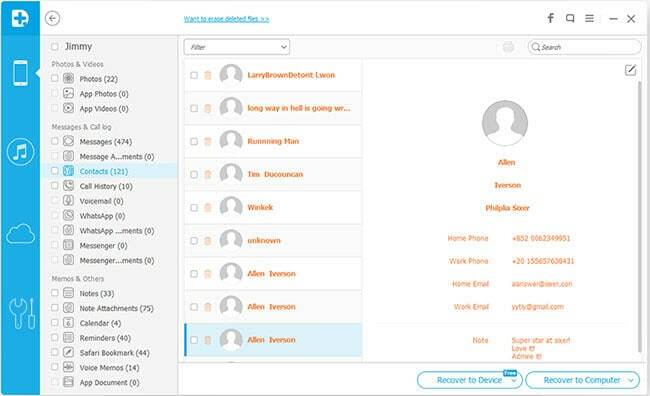 You can preview found data here, like photos, contacts, messages, notes and so forth. Choose what you want and click Recover to save them on your computer with one click. Note: The deleted data and existing data have their own colors. You can separate them by clicking the button on the middile top of the program: Only display the deleted items.